The Heist is a puzzle game that casts you as a bank robber trying to get into a vault. This is really just a way to set up the four mini games that make up the bulk of this title, but the developers did not cut any corners in creating this scenario. You begin the game with a phone call from the robber that you are working with. She explains the basics of the game. Each puzzle you solve will earn you points to get past one of the vault's security measures. As you unlock these, more difficult puzzles in each game will unlock as well. This mostly allows you to play whichever of the games you want, though the fastest way to get into the vault is going to include all of the puzzles, at least to some extent. 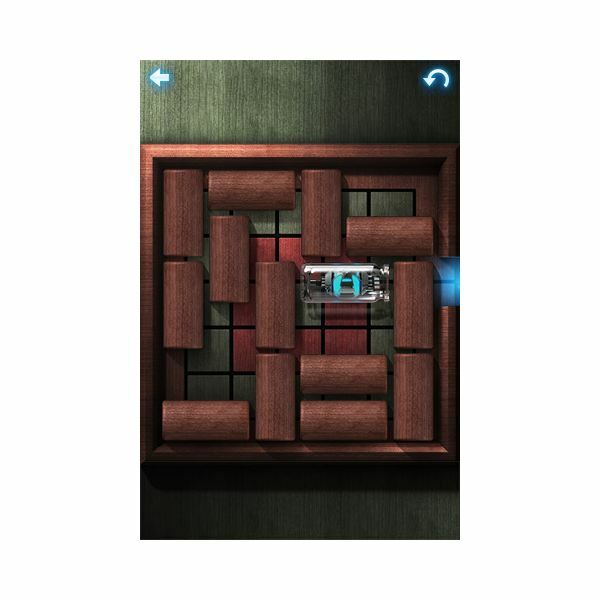 Each of the puzzle games that you must solve is similar to other games in the iTunes library. The first of these is a sliding block game which seems very simple, but becomes far more difficult as you advance. You have a small block that can move left or right in a straight line and you must figure out how to get it out via the hole in the right side of the box. In addition you have a number of other blocks of varying sizes which can either move up and down or left and right. You must slide these blocks around the board until you can clear a path. A simple game that will frustrate you after a few levels because there seems to be so few choices and yet you can’t see the one you need. Like any of the best puzzle games, when you do find the solution you feel smarter than you did before. While the second of the games is not technically Sudoku that is the closest game to what it is. 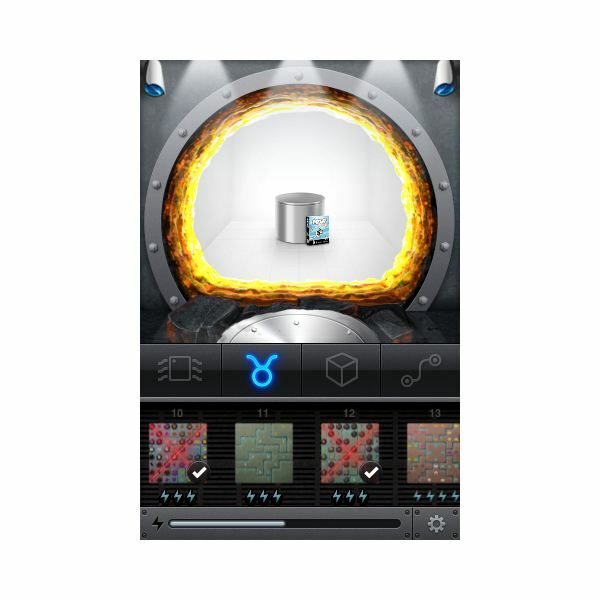 This game uses symbols rather than numbers, the symbols are color coded, helping to speed things up a bit, and the areas you put them in are not square. That said, the object of the game is to fill up the board while not allowing two of any symbol to be in the same row or column. As you advance the game adds more colors and makes the boards bigger so that by the end it can be very difficult to find the right choice. Most of the time if you are persistent you will discover the solution to the puzzle. The third of the games was, for me, the most frustrating mostly because of the interface of the game. The difficulty is that you have to touch the screen where you want your avatar to move, but if you touch the wrong spot he will walk, slowly all the way around the map to get there. The game itself is a pretty simple block pushing game. You have maps of a variety of shapes and sizes each with a number of blocks and switches that those blocks need to be put on. The difficulty is that you can only push the blocks, so if one gets into a corner or against the wall you can’t get it where it needs to be. This means you have to think ahead. 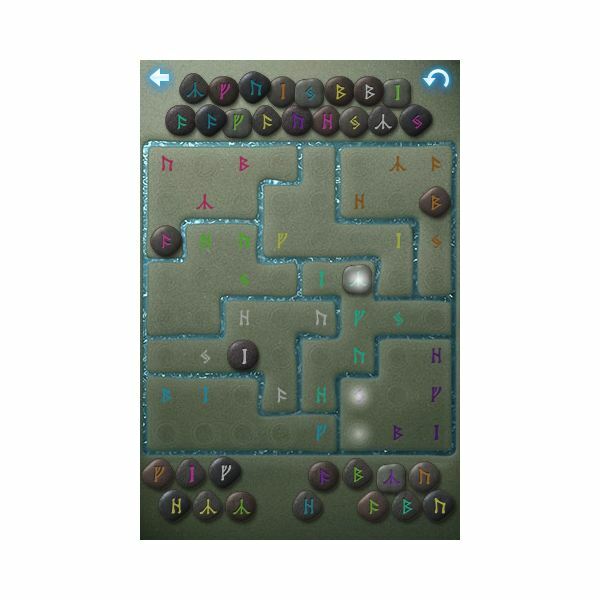 In general the difficulty of these levels advances at a very good pace so you never feel too frustrated. The final of the four puzzles is perhaps the best known and the most frustrating. This is the classic nine piece sliding puzzle you can find at almost any roadside attraction. 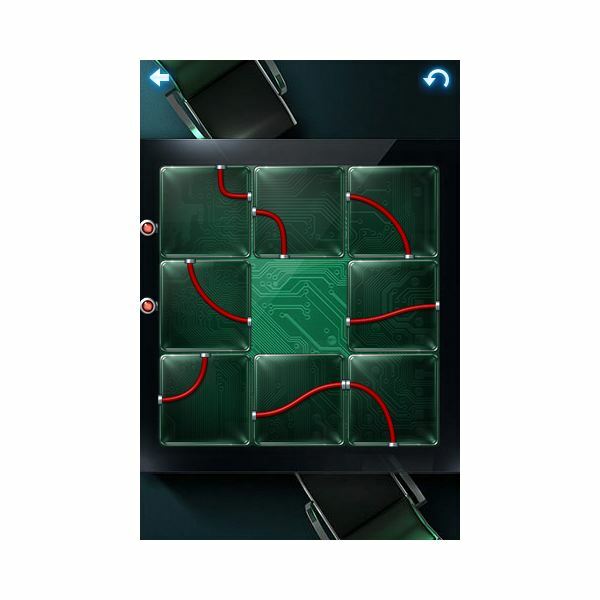 You have a single hole and eight pieces and in this case you must connect wires from one side of the puzzle to the other. This fits thematically with the game, but is largely unimportant because you’re still simply getting them in the correct order by sliding the blocks around the board. 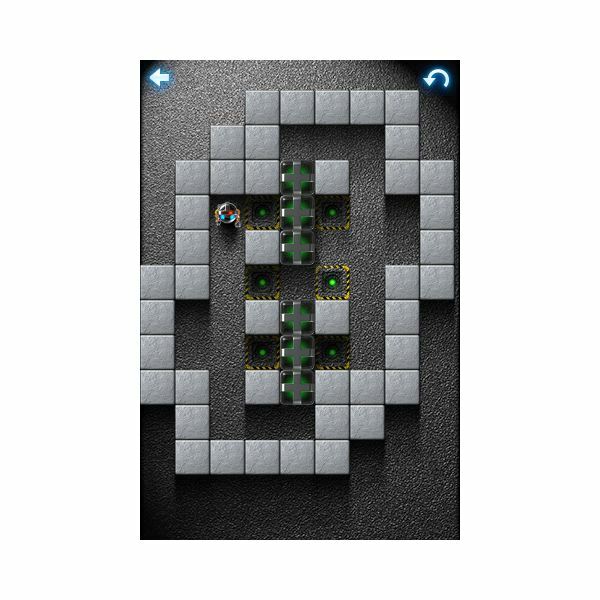 If you like this type of puzzle it is well done, but there is nothing special about it and unlike the other puzzles there is very little room for level design to influence the game. The biggest flaw of this game is the lack of instructions. This is only a problem if you don’t know what the puzzles are and in general this isn’t difficult because they are classic puzzles. For me only the Sudoku puzzle stumped me for a moment since it looked different from other versions of that game, but anyone who hasn’t played these games before would almost certainly have been in the dark as to what to do. The other flaw for these in general is minor, but there are a number of small interface problems. The most notable is trying to move things to the correct point is often difficult. This is simply because there is a lot of stuff on the screen, but it is still frustrating to try three times to slide a block to a specific point and have something else happen. The graphics of this game are very simple and, while generally on theme with the bank robbery idea, it doesn’t feel the need to stick with that. For example, in the block sliding game you have wooden blocks where metal would have felt more realistic and the tiles in the Sudoku style game are small woodland animals in some levels. The music itself gets a bit repetitive, but beyond that the sound is good. The voice acting at the beginning is a bit over the top, but quite intentionally and so it's fun to listen to. None of these games alone are really five star games. They are simple and don’t add a lot, but they are all fun in their own way and since you don’t have to pass every puzzle in order to beat the game a single puzzle you can’t solve won’t ruin things. Finally, when you do get the vault open there is something in it. This is in part an ad for another of their games, but if you enjoyed The Heist enough to get to the end then the rest of their games are likely worth at least looking at. This along with effectively charging only 25 cents for each of the four games makes it a five star app. (Cost: $0.99) Download The Heist. Images, iPhone screenshots from The Heist.